With florists and chocolate shops prepping to be inundated with orders for the biggest flower bouquets and exotic chocolate selections for Mother’s Day, the team at Delta Force is gearing up to host an epic day full of fun and laughter at our world-class locations across Australia. 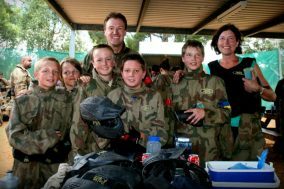 Furthermore, a family day out spent paintballing at Delta Force is a fantastic way to spend quality time together. Create lasting memories and treat your Mum to a unique day out with the ones nearest and dearest. 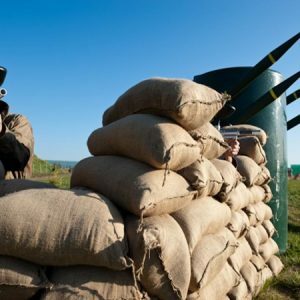 Book a bonding session and enjoy a memorable Mother’s Day paintball celebration with the family. Decked out in the latest protective gear, your Mum will resemble Lara Croft. A full-body combat suit, padded body armour and 360-degree head protection – we have it all! Before long she’ll be leading the charge on our iconic Tomb Raider game zone as she storms the pyramid in search of the ancient artefact. 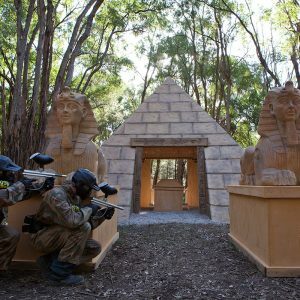 Themed game zones featured at all Delta Force centres maximise your enjoyment during a day out with the family. In addition we focus on encouraging teamwork and communication. With so much time spent glued to phones and TV screens, a day out exploring our game zones will strengthen bonds amongst family members. In addition, paintballing is also a great way to get some fresh air and exercise! Go on – surprise Mum with a unique gift this Mother’s Day. 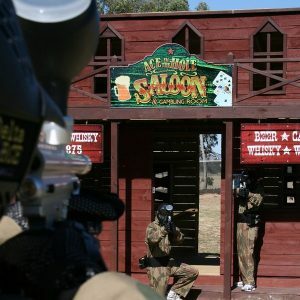 Call an event co-ordinator today on 1300 850 744 for more information about our paintballing gift vouchers. Alternatively you can request a call back from the team to book your Mother’s Day paintball experience. We’re available 24/7 to help answer your queries.